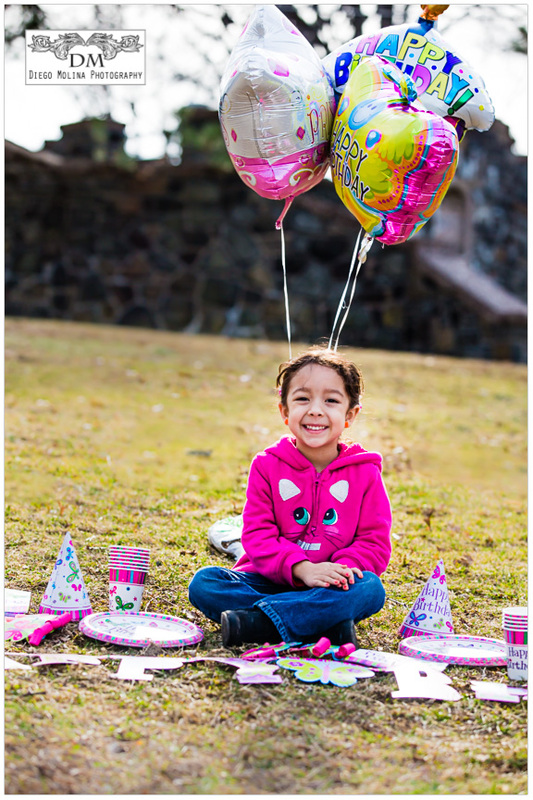 There is no better way to celebrate your or your kids birthday than to have a children photography session. You will always have your images to go back and relive wonderful moments. Children Photography has its challenges. Whether you are faced with the unstoppable runner, the a little bit shy, the I don’t like pictures kid, it is always a unique and rewarding experience.I have been photographing kids in New Jersey for many years. Children photographers know how to interact with kids to get those precious smiles. I have gathered some tricks through the years myself! James Braddock Park also known as North Hudson Park, in North Bergen has a huge playground for families and kids in Bergen and Hudson County. 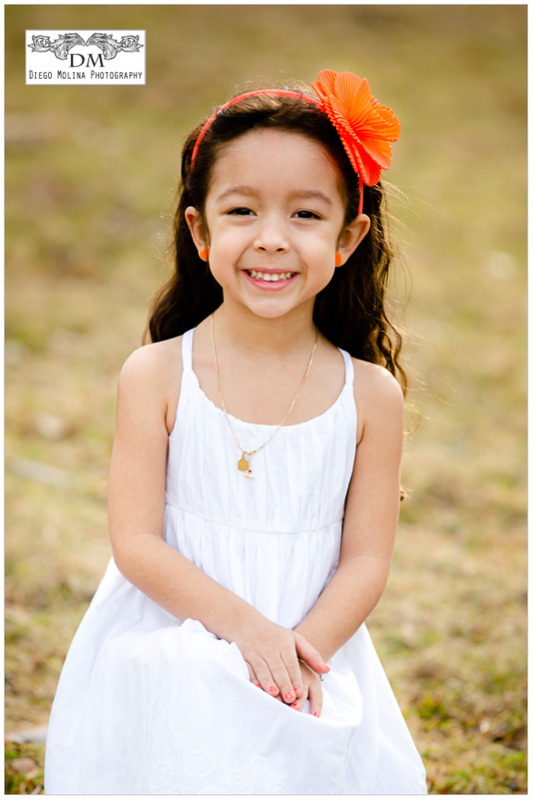 Diego Molina Photography studio, offers children, baby, maternity and family portraits. 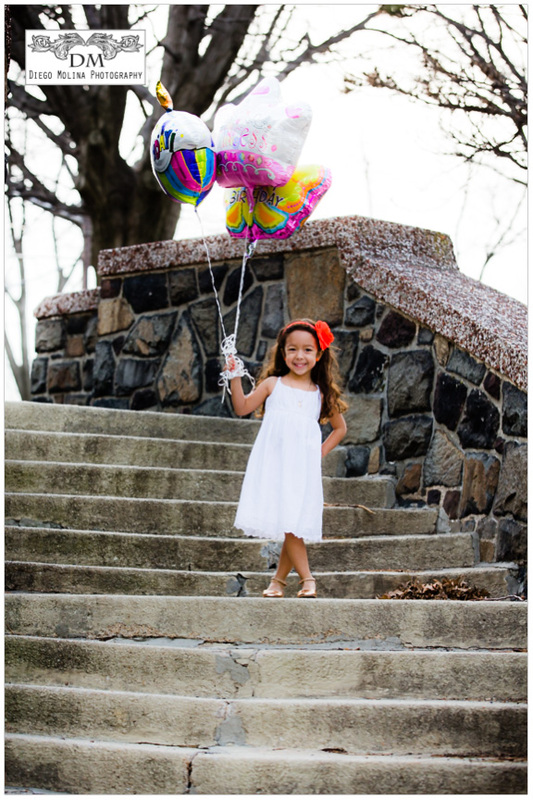 Diego Molina Photography is a NJ based kids, baby photographer and child photographer, our portrait studio servers families in Bergen County, Hudson County and Northern New Jersey. Little Miss Sophie had her Christmas portrait pession a few days ago at my studio. She was very excited to see the holiday decorations and looked so pretty in her purple dress. The magic of Christmas comes to life when kids are present! Taking direction from her mom to pose and smile, Sophie had a fantastic time at her photo-shoot and mom was so happy she was keeping the tradition of having holiday portraits alive. Some families take Christmas portraits every year unfailingly. It is such a good idea and investment. Once you go back to those pictures, memories come to life and bring you back to that day and experience. Sophieâ€™s mom was telling me how she thanks her Mom for doing that while she grew up and how happy she is of giving this gift to Sophie. Christmas family portraits also make for wonderful holiday cards, gifts and keepsakes. Capturing true moments and personality of kids on a Photography Session, is not by having them pose. The best way to get their genuine smiles is to let them do what they do best, be kids. It wasn’t a warm day but when there’s water at a park, there’s fun in store for sure. This pair of brothers were lots of entertainment! One thing that most little girls really love is dressing up and posing! Creating a Model Portfolio for Girls is very fun and even if Little Naomi does not pursue Modeling, these pictures may change her mind!. Work it! For some kids, family and children photography has a special meaning. They are there to have fun and are going to be fast while doing it. This toddler had his running shoes on for the session! Lifestyle photography lets kids be kids and helps photographers stay in shape.